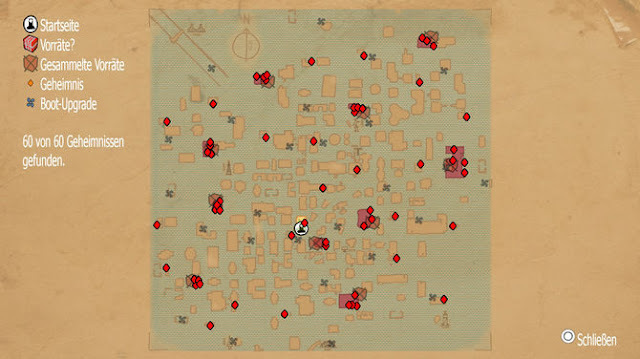 The picture below shows you the locations of the 60 secrets in Submerged. If you have found all the secrets, you will receive the silver trophy chronicles. The secrets you ever turn a picture in the "history of the city" free. For the location you can also use your telescope. So you can get Secrets easier - also the secret found on the map is entered. In buildings with a Care Package, there are always to be found between two and four secrets. 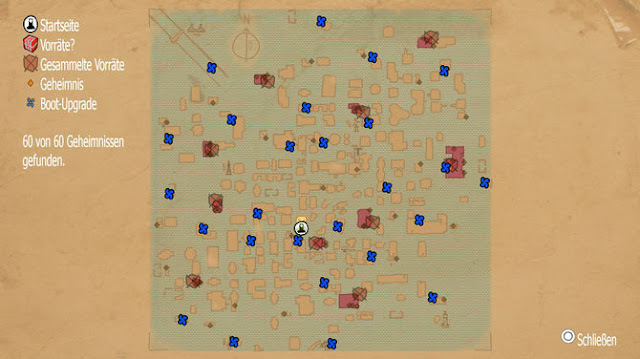 If you have found a building, the secrets are listed directly on your map. The picture below shows you the locations of the 26 boat upgrades in Submerged. If you have found all the secrets, you will receive the silver trophy. If you are traveling with your boat, you can use L1 turbo fire when you have gathered in the first upgrade. All subsequent upgrades increase the boost capacity. For the location you can also use your telescope. So you can boot upgrades get lighter front of the lens - also the boat sighted upgrade is entered on the map.